Police are now investigating a shooting that left one man dead on Sunday night in Burlington County. 37-year-old Norman Mosley who lived in Alfred Drive, in the Brown Mills section of Pemberton Township was shot in his house after two men wearing masks broke in after 10 pm. Mosley was rushed to Deborah hospital by someone who was with him in the house. He was pronounced dead shortly after 11 pm. So far, no arrests have been made, and the motive for the shooting is still under investigation. Over the past 10 days Mayor Jim Kenney and the rest of the city of Philadelphia have been celebrating welcoming week buy showing support and acknowledging all the work and contributions immigrants bring to the city. Today, Mayor Jim Kenney as well as other city officials recognized many immigrant business owners today at the City Hall reception Room. Mayor Kenney called the week a big success. Welcoming week is held every September in Philly, and is celebrated through various cultural festivals and events in the city. Flu season is right around the corner and a good way to keep healthy during the season is with a flu shot. 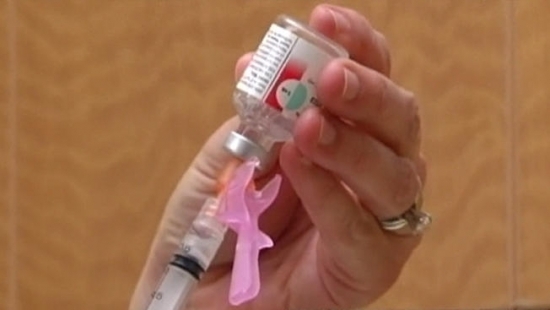 The Center for Disease Control and Prevention (CDC) is recommending that everyone over the age of 6 six months get a flu vaccination as soon as it becomes available. Well the Montgomery County Health Department is now giving free flu vaccinations to residents at clinics all around the county. The Clinic is asking for residents to bring their insurance card if they have it. Tonight, expect some rain in the late evening, and a low of 62 degrees in Center City.